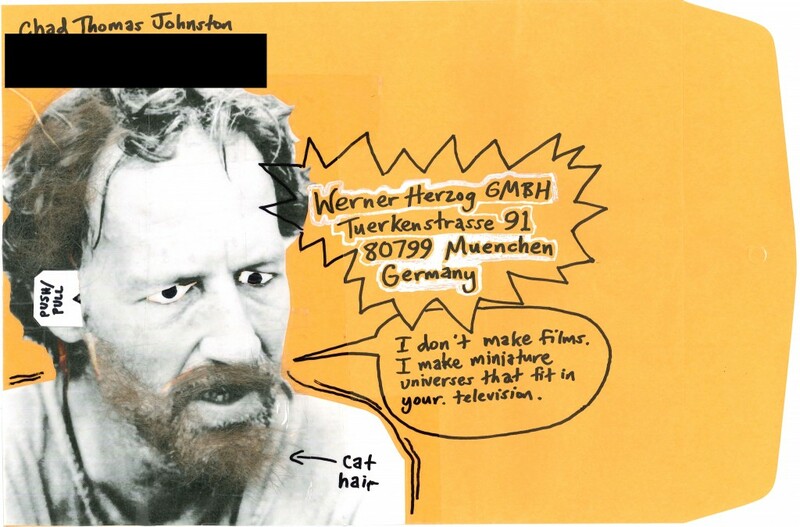 In 2008, I pitched a documentary idea to New German Cinema director Werner Herzog via snail mail. I sent the same pitch via email. His office completely ignored my snail mail, but replied to my email. In a tone that was both kind and playful, his employees explained that Mr. Herzog was otherwise engaged with projects at the moment. To sum up the contents of my pitch to good old Werner, I told him he needed to create a documentary about my friend, Kansas City-based artist Danny J. Gibson. I provided a rationale, but mostly sought to arrest his attention with the terrifying manila mailing envelope below. You will note that there is a “Push/Pull” tab that allows the recipient of said manila envelop to manipulate Mr. Herzog’s eyes, prompting them to move back and forth in suspicion, or simply pause to look both ways before crossing the street (er, straße). 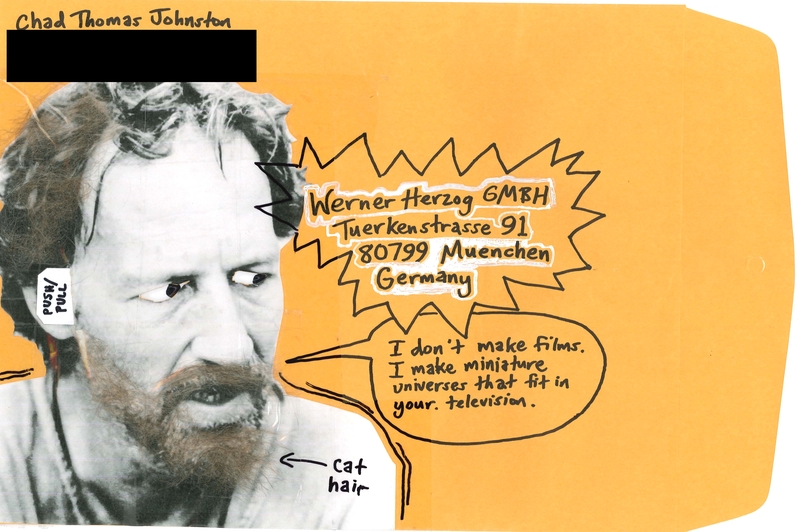 The hair on Mr. Herzog comes from my cats Charlotte and Sophie. I brushed them, collected the hair, and taped it down with transparent packaging tape. I used real hair because Danny J. Gibson taught me the value of inserting things like real hair or dryer lint into visual compositions. 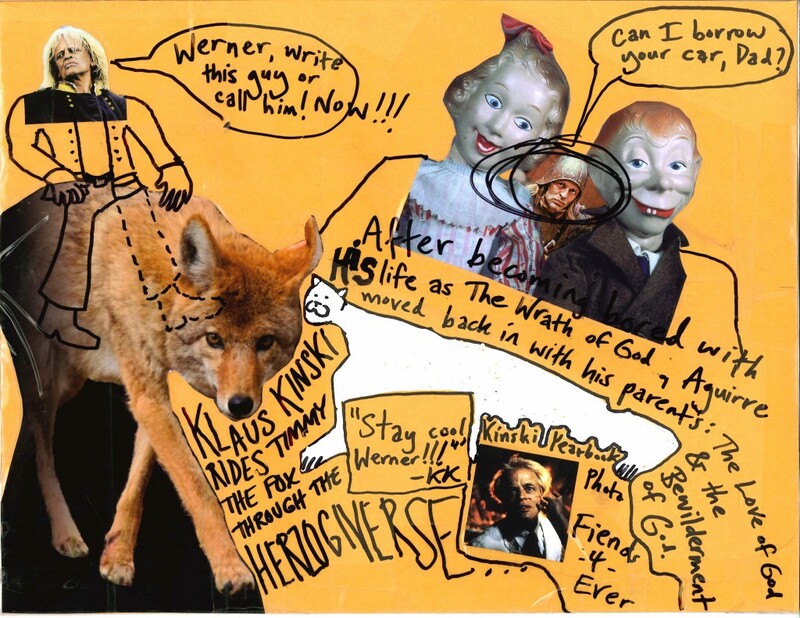 The collage on the back features multiple pictures of megalomaniac actor Klaus Kinski, who starred in multiple Herzog features, including the documentary Herzog made about his working relationship with Kinski, titled My Best Fiend. 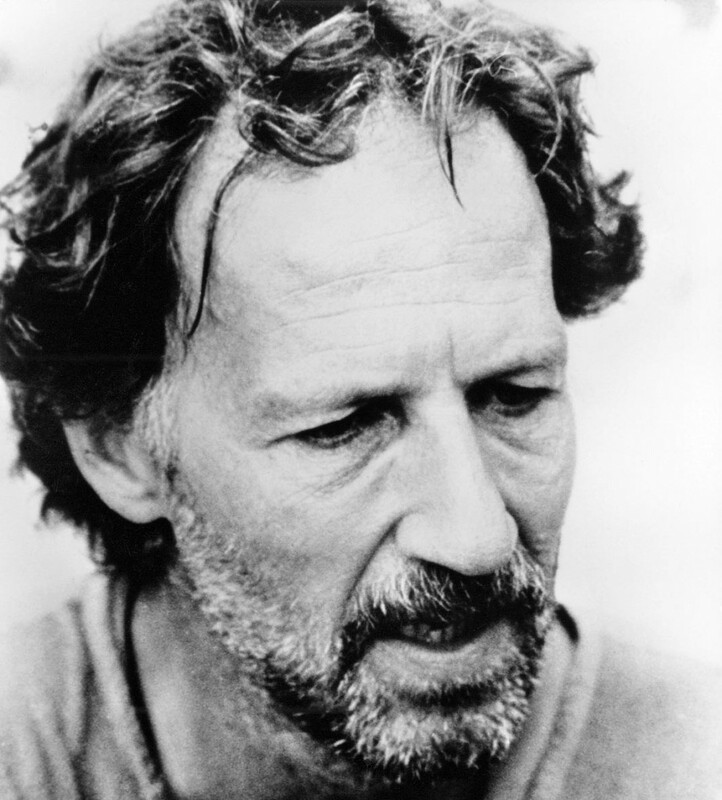 Kinski is most famous for his roles in Herzog’s Aguirre: The Wrath of God and Fitzcarraldo. There is also a reference to Herzog’s 2005 documentary, Grizzly Man.